work-appearance Presented at: WORKS+WORDS 2017 Biennale in Artistic Research in Architecture, KADK, Copenhagen. Exhibition (video + print) and paper (in Danish). 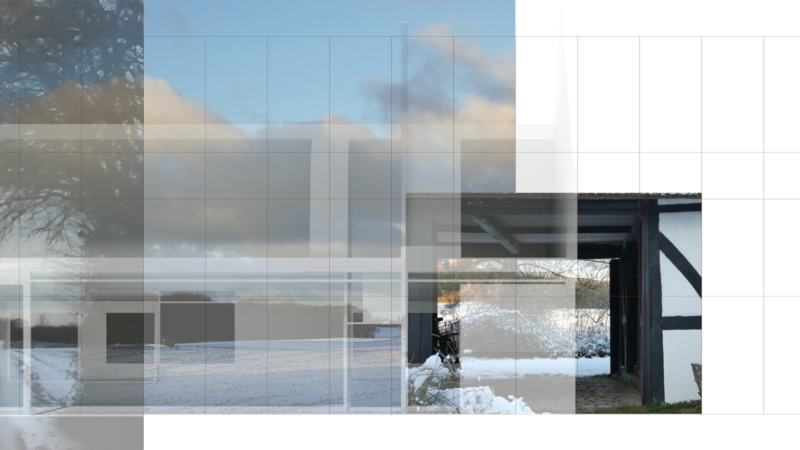 Along and Across – kin-esthetic space making presents a gesture-model working with selected characters and forces of a specific building program and site: a single-room dwelling and work-house as part of a family- and country-residence north at Langeland, Denmark. The model focuses on a ‘rise-of-space’ – how to configure an ‘inner’ space in exchange with ‘outer’ contextual characters and concepts of gliding scales. Seen as intersecting ‘currents and whirls’, the contextual forces are selected and augmented by mediated body-movement – Along, takes up the course of coastline, main road and orientation of the site – Across, resonates rhythmically with local masses of woods, hedges, existing buildings and openings, creating floating pockets of space and shifts in depth-of-fields.